It is no secret I am completely obsessed with coconut scented products. That and the lovely sweet smell of Vanilla. 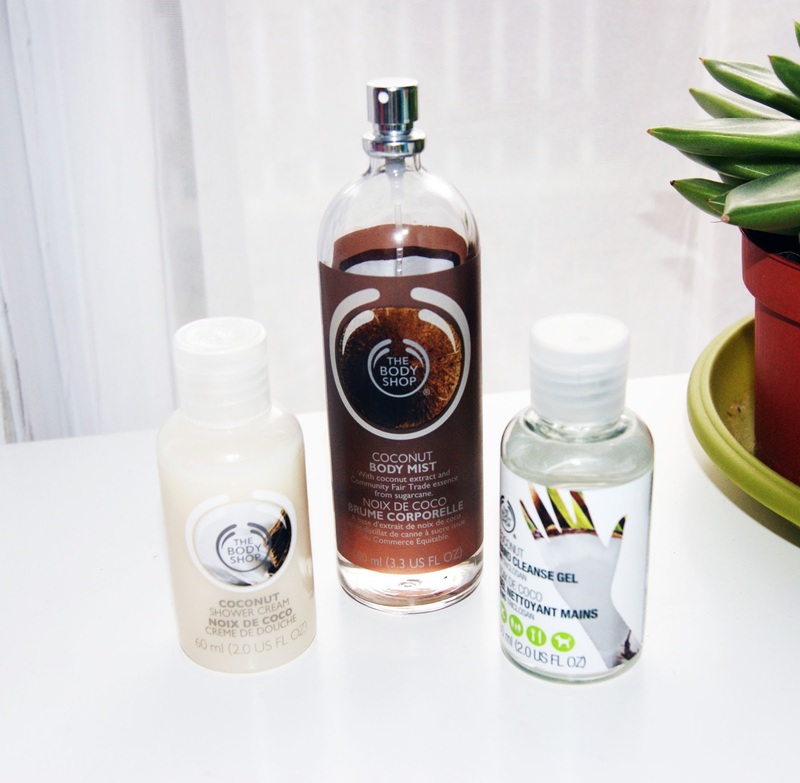 One of my favourite shops to get my coconut scented products is definitely The Body Shop. Two of these, the Coconut Shower Cream and the Hand Gel were small birthday presents but the coconut body mist I have had for months now. I have used it at least a couple of times a week since I bought it and it’s still not empty! I completely adore the entire range of Coconut products at the Body Shop, each product I’ve tried so far has long lasting fragrance, hasn’t irritated my sensitive skin and has been really good value for money! Plus, the Body Shop do wonderful gift sets which makes it perfect for a Christmas present! Pushing past the procrastination- making time for exercise! Previous Post ACTIVISM: on yer’ bike! 1YRWL PLAN: Month 1 Update!